Each fall we endeavor to track the new entrepreneurial activity happening in the Kimberley and Marysville area. There is definitely a surge in business growth in the city with new construction, expansions and many start-ups underway. 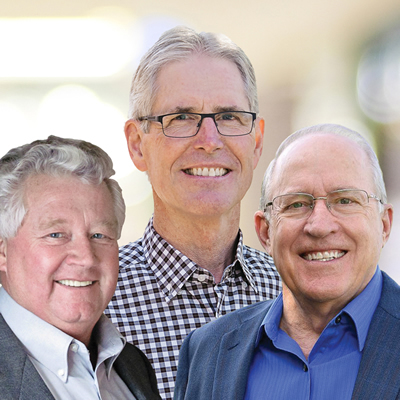 With the assistance of Mike Guarnery at the Kimberley Chamber of Commerce and Kevin Wilson, EDO of the City of Kimberley, here is an updated roundup of new business activity happening in Kimberley over the last year or so. 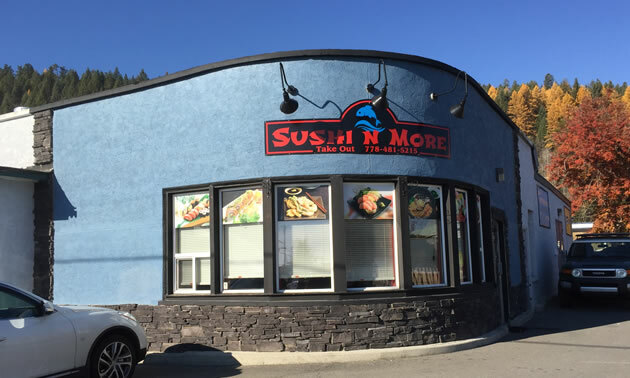 Sushi & More: This new Japanese, Korean and Chinese fusion restaurant is one of Kimberley’s newest eating establishments (located in the former Irene’s Fish and Chips location). Kim and Sharon Hong are pleased to open their new restaurant in Kimberley and the couple brings a lot of experience with them as they have operated a restaurant in Vancouver for over 20 years. Buckhorn & Main Mountain Eatery: The Kimberley Alpine Resort is looking forward to debuting a brand new restaurant in the plaza at the base of the resort (where Montana’s previously was located) tentatively called the Buckhorn & Main Mountain Eatery. Also introduced near the end of last season, Kimberley is proud to now pour its own beer – try the Stemwinder Ale this winter, on tap at The Stemwinder Bar & Grill and at the new Buckhorn & Main restaurant. Marysville Business Centre: The new Marysville Business Centre has been opened by Rachelle Langlois on Main Street in Marysville. The Centre has a number of tenants utilizing the office space including Courage to Connect - Addiction Services Society; Ktunaxa Kinbasket Child and Family Services Society and Lite Access Technologies Inc. 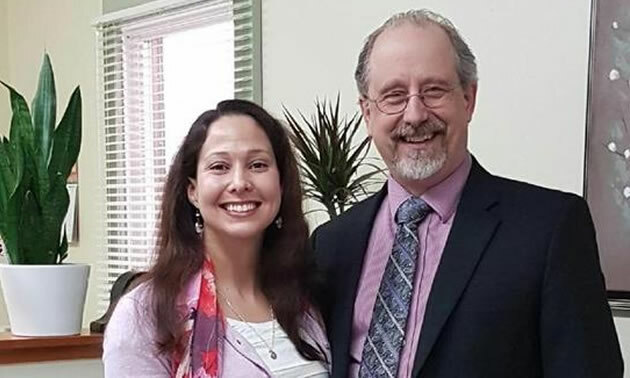 The last space in the Marysville Business Centre has been rented out to a new business, a holistic practitioner called Violet Flame Holistic Healing. Paper & Cup: Slated to be open this fall, the Paper & Cup is Kimberley’s newest place to read, relax and reconnect! Featuring a full coffee, wine and beer bar with ample seating to indulge or socialize and check out the newest books to hit the market. Kimberley Dental Clinic: Dr. Eric Nelson of the Kimberley Dental Clinic is currently constructing a new building on the corner of Walllinger and Howard Street just north of the Platzl. Construction is projected for completion in the spring of 2018. Lavish Hair and Beauty Bar: Located right in the heart of the Platzl, this is Kimberley’s newest hair and beauty salon. 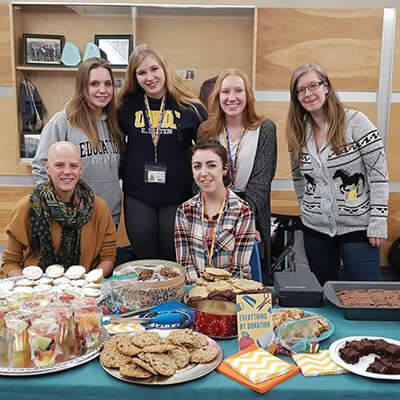 It opened in the spring of 2018 and is co-owned and operated by Jen Pommier and Hayley Nielsen. Hotel Kimberley: Located at Kimberley’s only traffic light, the newly revamped and updated Hotel Kimberley is now fully operational. Family owned and operated, Hotel Kimberley bills itself as the ultimate choice for your mountain holiday adventure, any time of the year. Knickerknacker Gift Shack: Found just off the Platzl at 369 Spokane Street, this new retail shop offer an eclectic selection of gifts and has a loose leaf tea bar. According to their website the shop is "Always a shopping adventure! Featuring eclectic and fun goodies, and a large selection of blended loose-leaf teas from around the world." Broken Paddle Diner: Formerly BJ’s diner, the Broken Paddle Diner is home to the Canoe & Brews Pub as well. With a full breakfast and lunch menu the eatery is open 7 am to 2 pm every day. Owned and operated by Korene & Brian Molley, they are famous for homemade meals at reasonable prices. Rocky Mountain Air Tech: This company was actually founded March 2016 by Kevin Hamilton, a Journeyman Red Seal refrigeration mechanic and Class B gas fitter. Kevin has over 15 years of experience in all aspects of the trade and has a reputation built on quality workmanship and excellent customer service. Alpine Legal: Lawyers Maggie Melnychuk and Michael Prestwich have opened a new law office in the Kimberley Platzl called Alpine Legal. Their firm handles contract law, estate planning, probate, real estate matters and notary services as well as offers business law solutions. Kimberley Kritters Pet Boutique: Erin Thompson and Brian Sondergaard are a Kimberley couple with a passion for pets and are the owners of Kimberley Kritters. Erin has worked in the veterinary industry for over 16 years, has fostered many dogs through various rescues and has a passion for animal nutrition and wellness. Brian has a love for all animals, big and small, and is always expanding his knowledge and experience in this ever growing industry. Their store is located at 550B Mark Street. Bova's Appliance Service and Repair: Bova's Appliance Repair is a new appliance service company operating in Kimberley. The repair company is owned and operator by Steve Bova. The company specializes in residential & LTD commercial servicing and repair work. They pride themselves in offering trustworthy & reliable service throughout Kimberley and the East Kootenay. POS-N-go: Kimberley-based point-of-sale software company POS-n-go (Dinamikos Technology) is expanding with the signing of a new representative in Atlantic Canada. POS-n-go founder Richard Vienneau recently announced that RKP Atlantic Business Services will now promote and sell POS-n-go point-of-sale software in Atlantic Canada. Dinamikos Technology is located at 369 Spokane Street. New Constituency Office: Columbia River-Revelstoke MLA Doug Cloverchok recently opened a new office in Kimberley, located at 362 Wallinger Avenue. Doug was elected MLA for Columbia River-Revelstoke on May 9, 2017. He has offices in Kimberley and Revelstoke; staff at both offices can assist you with all Provincial matters. Townsite Grocery: Owners Shaun and Sara Hohman have been busy revamping and improving the Townsite Grocery store in upper Kimberley. They now offer everything from convenience items to Fort Steele Bakery products and a new pizza menu. 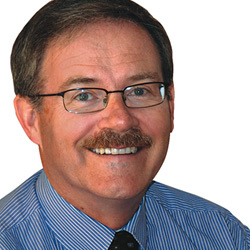 BDO Office: Accounting firm BDO, based in Cranbrook, is in the process of opening a new office in Kimberley. The office will be managed by senior accounting manager, Alan Rice. BDO also has an office in Invermere. Mark and Niki’s Snack Hut: Homemade soups to go, muffins, cool ice cream treats and the best hot dogs in town are all part of the menu at this popular little eatery in Kimberley Platzl. Niki Traverse and her staff dish out the goodies from the Platzl’s only take-out window. Earth’s Own Naturals Ltd: This new business on Kimberley’s Howard Street offers alternative and holistic health service as a cannabis/medicinal marijuana dispensary. The store is managed by Amanda Musso. Grow Tea & Elixir Corner: Grow Tea is an environmentally friendly and ethical business specializing in tea and elixirs. They sell locally made herbal teas and tinctures. They also have a selection of books on the topics of permaculture, organic gardening, sustainability, community, herbalism and plant identification. Located next the Kimberley post office on Wallinger Avenue and is owned by Nicola Maria. New Construction - Tyee Homes: Kimberley builder Tyee Homes has started construction of a new townhouse complex just off of Rotary Drive across from Collette Manor. The company is reportedly looking at building more units next on the vacant land next to Mark Creek Crossing further down Rotary Drive. Zen Mountain Float + Wellness: This unique company is Kimberley’s newest wellness destination, offering a unique combination of services: floating, salt & wellness room, holistic skin care and spa services & energy work, all in one tranquil and quiet environment. The team at Zen Mountain includes Shannon Olsen, Shawna L’Heureux, Bailey Thuillier and Mardi Gammie. The Koffee Kan: This Marysville coffee house and bar opened in the last year or so. It was uniquely constructed from a series of re-purposed shipping containers and features an outdoor rooftop balcony. Unfortunately, due to health reasons the restaurant is currently up for sale. Looks like a great turn-key operation for some restaurant entrepreneur. KTown Custom Auto: This one-stop shop handles everything from brakes, custom exhaust, tires, windshields to light collision and custom fabrication work from stock to full custom. It is in the former OJ Mechanical Garage at 2820 Rotary Drive. Kevin Dunnebacke is the owner of KTown Custom Auto. The Nest Restaurant: Partners Neill Anderson, Andrea Track and Darcy Makeiff are working at getting a new restaurant open called The Nest in Marysville. They are converting half of the former Buddha Belly space into a new 30 seat family-friendly restaurant. They are hoping to have it up and running before the end of year. Kootenay Clean Air: With the most technologically advanced cleaning equipment, certified and trained technicians, and top-line filtration products, Kimberley-based Kootenay Clean Air owner Jeff Bazley and his team provide professional and certified heating, ventilation, air conditioning cleaning services throughout the Kootenays to improve your indoor air quality. Munter Design & Build: This Kimberley-based building company is a design/build contractor who provides quality design and construction services for the residential and commercial market in Kimberley and throughout the region. OU Tasting House: Olives Unstuffed is a store in Kimberley’s Platz, owned and operated by Nancy Gibson. 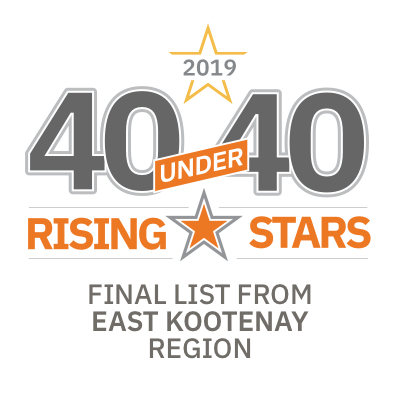 It features a large variety of vinegars and olive oils—products that are not readily available anywhere else in the Kootenays. Kassa Home and Window: This window covering and linen store is run by Maria Reynoso and is located in Kimberley's Platzl. It features brand name window coverings and a wide variety of home linens and décor items. 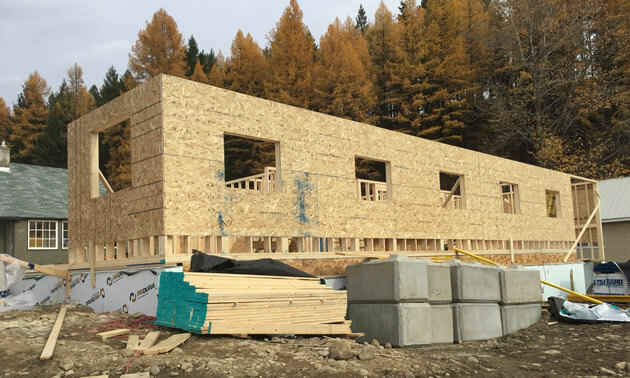 Kootenay Disaster Restorations Ltd: This Kimberley-based company is an emergency mitigation, remediation and general re-construction contractor serving the East Kootenays. They specialize in returning residential and commercial property to its pre-loss condition, be it due to flood, fire or wind or environmental contaminants such as mold, asbestos or lead. The entrepreneurial spirit continues to be alive and well in Kimberley and Marysville. Congratulations to the many new business owners, operators and managers in Kimberley.